Only a few hundred have been made and this is the first time that I’ve come across one. This Cadence actually isn’t mine but my friend Jeroen recently bought it. 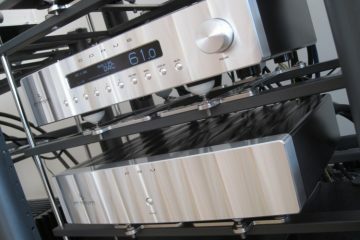 In fact, he was so intrigued that he bought the unit along with the Coherence II preamp, even before he had a turntable. This in turn made my other friend JW buy one, and this in turn started a whole series of Turntable comparisons. But I digress. Let’s start at the beginning. Above: inside the Cadence. Minimalistic as usual for the brand, but it’s the design and the resultant sound that counts. I couldn’t listen to the Cadence in my own system because I don’t have a turntable and because I’m very familiar with JW’s system (and his setup has many similarities to mine) it made sense to just carry out the initial listening tests at his place. 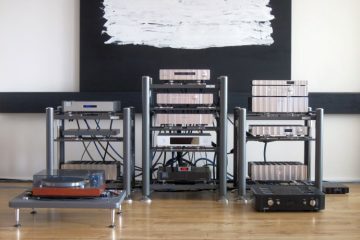 Up to this point he used the Benz Lukaschek, and before that the phono part of a Jeff Rowland Consonance preamp. If reviewers all around the world are anything to go by, this is one of the best preamps there are. As I am very fond of the Jeff Rowland sound, I am not doubting the statement, but the evidence still has to come from an actual comparison, which I will get to in a minute. 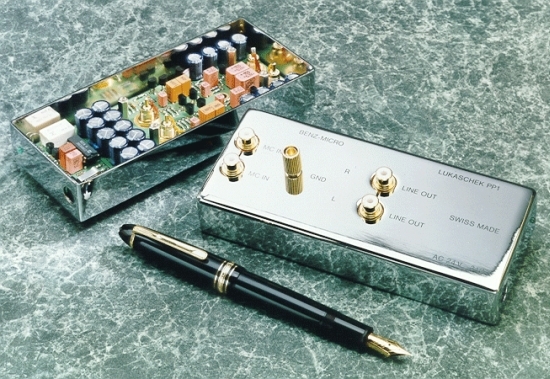 In conventional phono preamplifiers, damping is provided by load resistors. As a result, a significant amount of signal energy is wasted within the loading resistors. Conversely, the Cadence input transformer effectively damps resonant energy while transferring the maximum amount of useful lower frequency energy to the active input stage. Because traditional step-up transformers fall short in many areas, The Cadence makes use of an input transformer, codesigned in conjunction with an innovative low noise input stage which overcomes all of the problems associated with step-up-only designs. 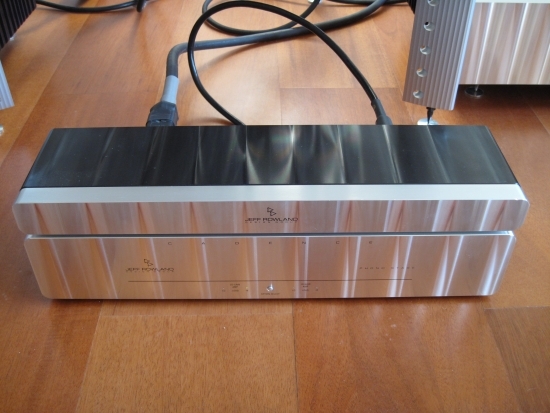 Following the transformer, a split active/passive RIAA equalizer is used. The Cadence has adjustments to make it compatible with virtually any low to medium output MC cartridge. 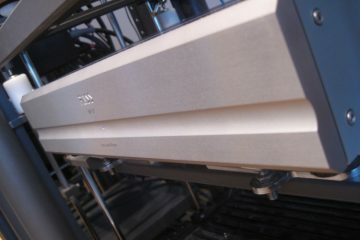 Connected to a Thorens TD160 MKII with Denon DL304 cartridge, the Cadence seems to have a similar sound signature as the Jeff Rowland Synergy preamp. For owners of this preamp this pretty much says it all, but for other people that means next to nothing, so I’ll explain. What the Cadence does best is to sound utterly natural and unforced. It’s not like it is without character because of that it actually has plenty, but it’s somehow easier to describe what it doesn’t do. There is absolutely no artificiality, no hardness, no shouting, no coloration, no noise. Yet it is absolutely not bland sounding, it is actually deeply saturated and richly colourful. 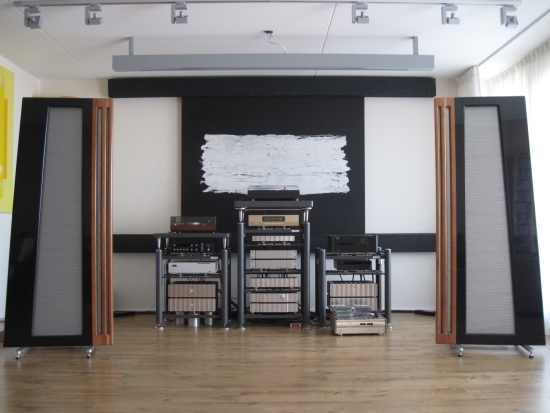 There’s an anormous soundstage with super-layering, so many small details have their own place in the soundfield and no matter how complex the passage, it is always clear, but never analytical of clinical. Microdynamics remain a Rowland strong suit. There’s just this complete absence of any electronic signature. 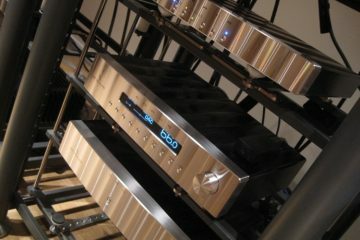 Maybe you could compare it best to a very good tube preamp except that the Cadence is likely more quiet. 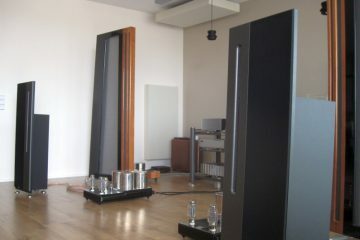 To further put the Cadence’s character into context, I compared it to the Benz Lukaschek phono preamp. The latter is a very small but beautifully crafted piece of highly polished metal from Zwitzerland. Although it is marketed as the perfect match for certain Benz Cartridges, it seems to be pretty universally usable. Switching from the Cadence to the Lukaschek is not hardship. Not at all. I’m actually amazed at how close this unassuming device comes to the luxurious Cadence sound. But listen closer and you start to notice the differences. For starters, while the Lukaschek seemed to be very fluid, the Cadence does actually beat it in terms of liquidity. Also the Cadence is more airy and more agile and fluid in the highs, and overall it sounds simply more natural. In comparison the Lukashek is more grainy. Not only is the Cadence simply brilliant in low level detailing, it also has the ability to make records sound less distorted. Even records that have some inherent distortion in the grooves become cleaner, more listenable. But the Cadence is no pretty-maker. Bad records still sound bad. It’s just that there is so little added distortion that you can live with them more easily. Another aspect of the Lukaschek is that it is very enthusiastic, but can’t seem to escape its full-on mode to relax. 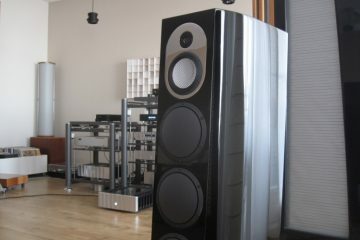 Its midrange is continuously a little forward which makes for involved listening but also tires after a while. No doubt this is how it was developed but the effect might be exacerbated due to its fixed high input impedance of 22kohms versus the Cadence’s 400 ohms. The Cadence is much more easy going by nature but it too can throw a party when the music requires it. The Cadence’s dynamic swing is simply larger: it is easy going and can be very quiet when it needs to be but it can also leap out with dynamic vigiour. It should be noted however that the Cadence, as a result of its superbly edge-free presentation, can sound witheld if matched with the wrong company and/or if one is used to more edgy sounding electronics. The bass is the one area in which I feel that the Lukaschek is quite a bit better. Like the Synergy, the Cadence is a little restrained / non-visceral in the bass. It does have deep bass and it sounds very natural but it is just that tiny bit short on expressiveness. 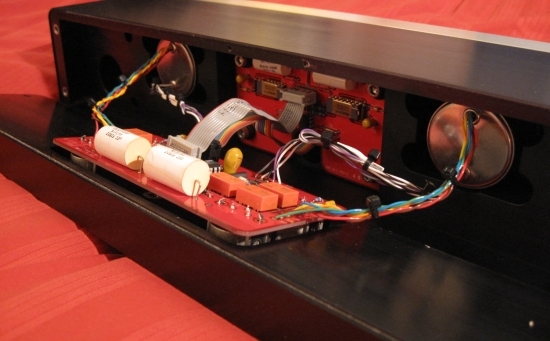 Above: the Cadence together with the optionally available powersupply. This supply looks precisely like the Synergy powersupply externally as well as internally, minus the display and related extra electronics. The optional power supply for us is not absolutely necessary since the Synergy power supply has an auxilary power outlet which can be used to power the Cadence. But the opportunity was there so why not try! 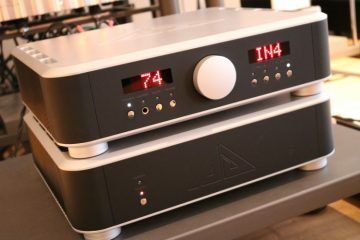 It turned out that the addition of the extra power supply, feeding the Cadence and leaving the Synergy’s power supply to feed only the Synergy preamp, made for a big increase in sound quality. Even though the supply electronics are very similar to the electronics inside the Synergy power supply, soundwise it does make a large difference, making the sound fuller and more expressive. This difference might have to do not only with the power supply itself but likely also with the DC cables, the placement in the rack, the separate powercables and where they plug into the extensionblock. Even though there was officially only one version, there is a difference throughout the serial numbers, in terms of electronics (see the Jeff Rowland Company Special on this site for details) as well as in sound. I have compared two Cadences, one fairly old and one from the last production batch. 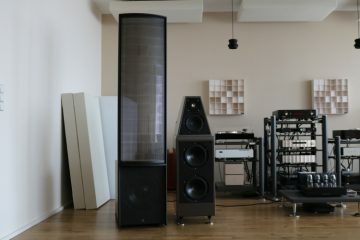 The older one turned out to sound faster, more agile and more expresive and the latest model was warmer, fuller, wider in soundstage and more liquid. These differences actually mimick the differences which exist between the Synergy 1 and 2i preamp. 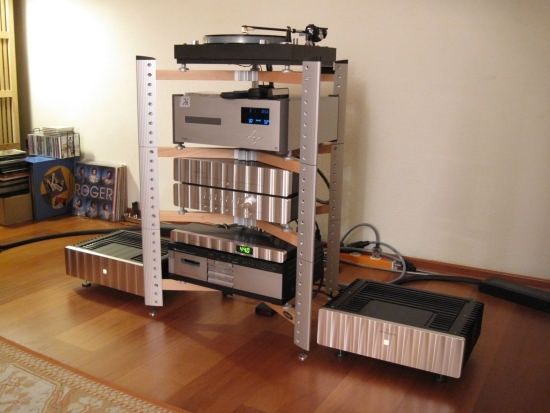 Much later when I had several turntables myself, and carried out extensive reviews of them, triggered by the reviewing of the Artesania Turntable Platforms, I borrowed JW’s Cadence again. This time I had a Pass XONO as well as a Musical Fidelity M1 Vinl. The latter is very good for its neutrality, bass power and dynamics, but otherwise sounds a little bland and decidely un-romantic. The Pass however is very good and improves on the Musical Fidelity on all terrains apart from the bass, which I feel is comparable. Also, the Pass made clear where the Cadence could be improved on: timbre! 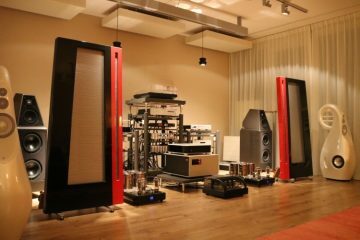 The Pass has a very neutral character but sounds highly natural, in a way that I often ascribe to Wadia CD players and DACs, which is that acoustic instruments sound more real on them than on most other equipment. The Cadence, for all its naturalness, does sound less acoustically convincing than the Pass. Then again, the Cadence does improve on the Pass in terms of low level resolution, treble air and most of all liquidity. If pushed I would not know which of the two to choose, which is why I have had both in my system for the better part of a year. The Pass matched really well with beefier sounding turntables such as the Yamaha PX-2 to make for rockin’ big bass and expressiveness while the Cadence was better matched with the Thorens TD160 MKII, sounding incredibly refined and extracting insane amounts of resolution from the grooves. 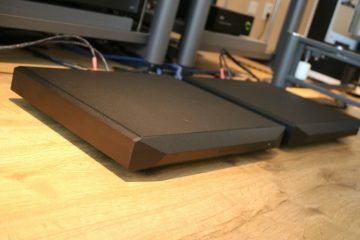 Cadence compared to the new Pass XP-17 phono preamp in an extensive review. In short: the Cadence is still special, but the Pass is simply fantastic. 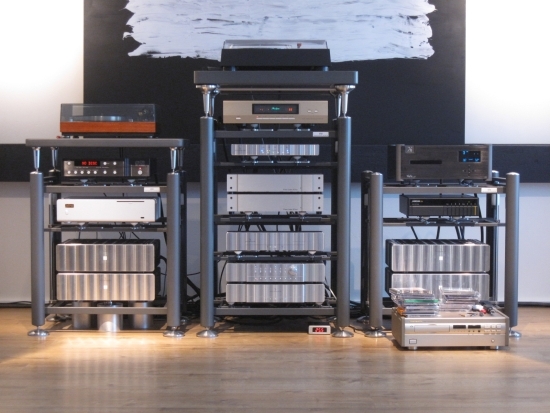 I feel that Jeff Rowland preamps and amps possess some kind of magic. A quality that makes them more majestic than most other amps. And with the Cadence, this is no different. One thing to keep in mind: the Cadence is absolutely not sterile, clinical or gray but it is so utterly free from artifice that in systems that are already polite, it may sound too tidy or restrained. Some systems actually need some added grunt or zing to sound lively. The Cadence will simply never sound aggressive. And if partnered with a lightweight sounding turntable, like the Thorens we used, the bass can lack some grunt. For starters, it has no power supply. It normally runs on a secondary outlet on the powersupply of a Rowland Coherence or Synergy. There was an optional powersupply but it too is very rare. 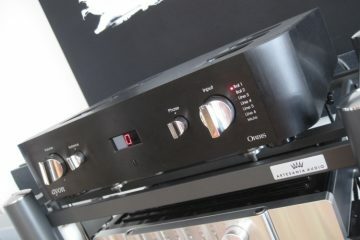 Second, it has only balanced inputs and outputs. Cartridges are balanced by nature but you need the right cables to actually use them this way. Because of this, some cartridges are easy to connect balanced, some need to be modified and others can only be be used in single ended mode. This is also how we used the Cadence. We used Cardas cinch to XLR adapters (supplied with the Cadence) but you could also just solder new XLR connectors to your turntable leads. Even with these extra contact transitions, and not even running balanced, the Cadence amazed us. Imagine how it may sound when driven balanced!